Super Paper Mario game script in Kindle format! If you’ve been perusing this website for a while, you have probably been wondering how I’ve managed to come up with so many brilliant analyses of Super Paper Mario while also juggling my multitudinous other talents. Okay, fine, maybe you haven’t been wondering. But here’s how: I’ve had a copy of the Super Paper Mario game script written by Super Slash at my side the whole time. And now you can get your own copy! For free! In all-new…KINDLE format! 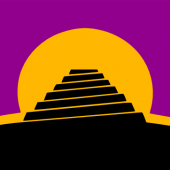 Silliness aside, I have found the game script to be very handy as I come up with theories and analyses and generally get as much fun out of SPM as I can. I only had a problem with it when I got the brilliant idea to put it on my Kindle, to make the script even easier to access and carry around with me (in case I’m really, really, really bored on the airplane). Super Slash’s plaintext version works well on a computer, but it doesn’t look very nice on a Kindle. So I got out my favorite LibreOffice plugin for find-and-replace, ran a lot of regular expressions on the plaintext version, fixed a lot of formatting problems caused by said regular expressions, slaughtered the occasional wild typo, and finished off with a linked Table of Contents since I figured it would be useful to learn how to make one. I think the result looks pretty nice. 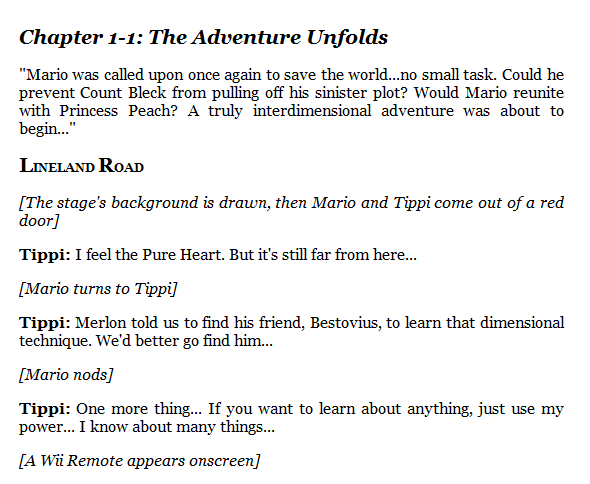 You can download my Super Paper Mario script for Kindle here. If you’re interested in getting the script in a different e-book format, you’d probably be best converting it yourself using something like Calibre – I don’t use any other e-book readers and so I won’t have an eye for what looks good on them. If you would like, you can use my original .ODT of the SPM script as the source of conversion instead of the Kindle file. This was exactly what I was looking for thank you!